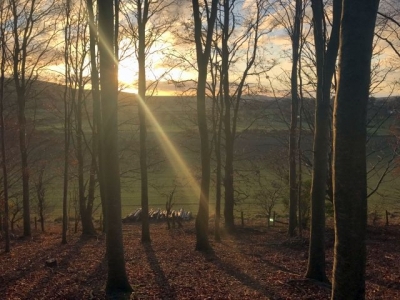 You can add a message to be included on the voucher. 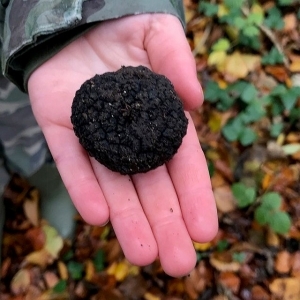 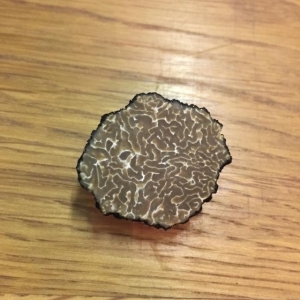 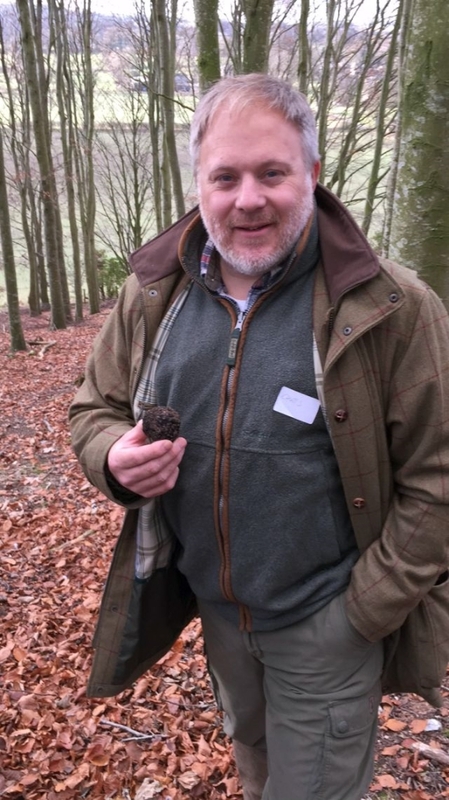 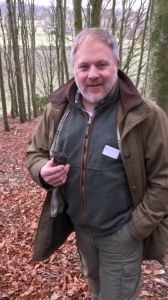 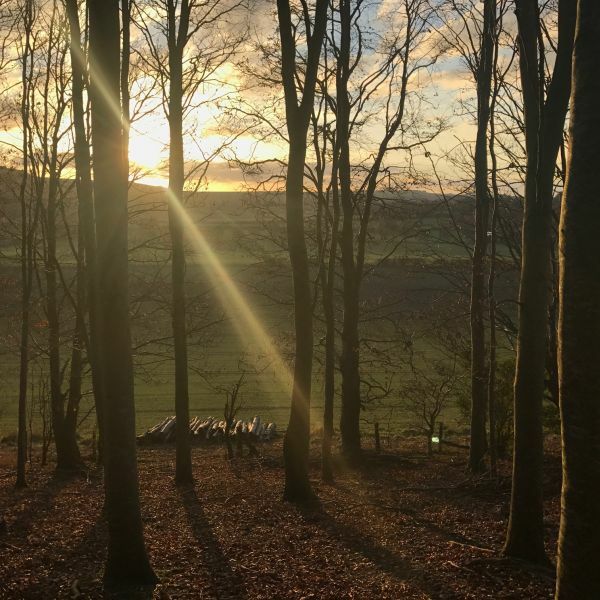 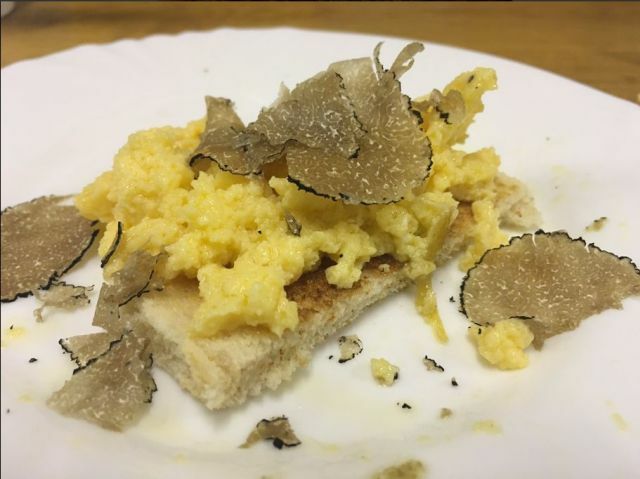 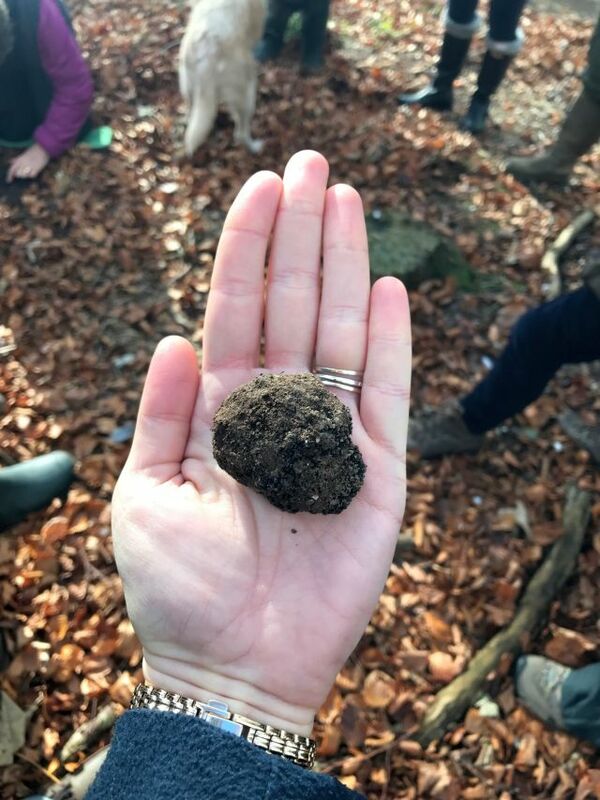 Truffle hunting experience day gift vouchers are sent out immediately by email once we receive your order and payment, ideal if you are in a hurry! 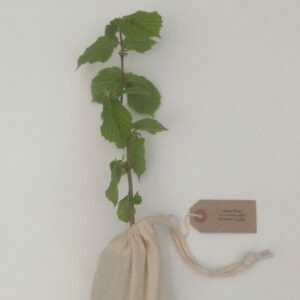 You can have them sent to yourself to print and give to the recipient. 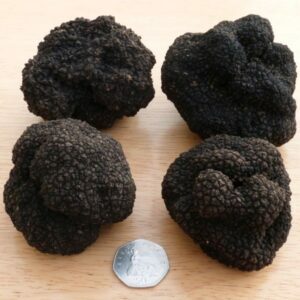 Alternatively, they can be sent directly to the recipient’s email inbox. 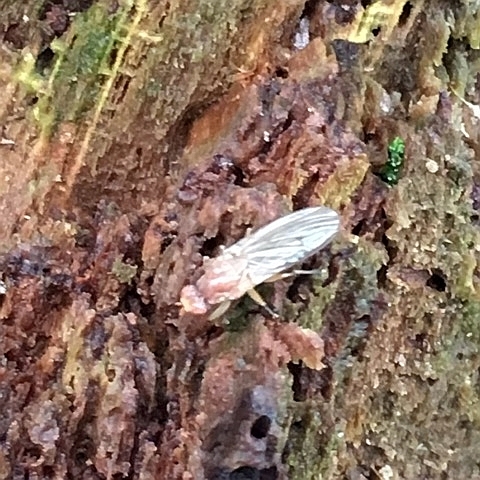 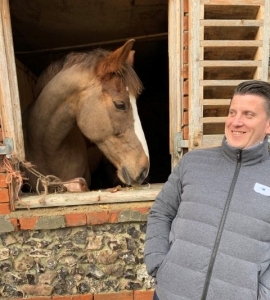 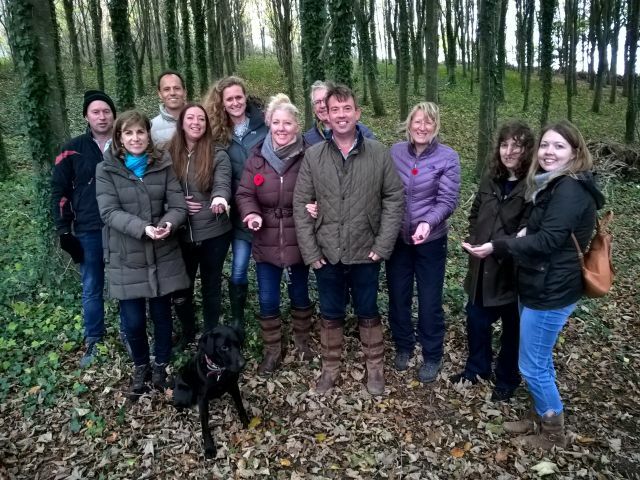 To book their places the recipient visits our web site to look at dates and availability. They use the voucher code at the checkout in place of paying. 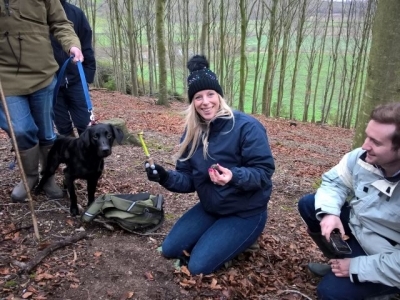 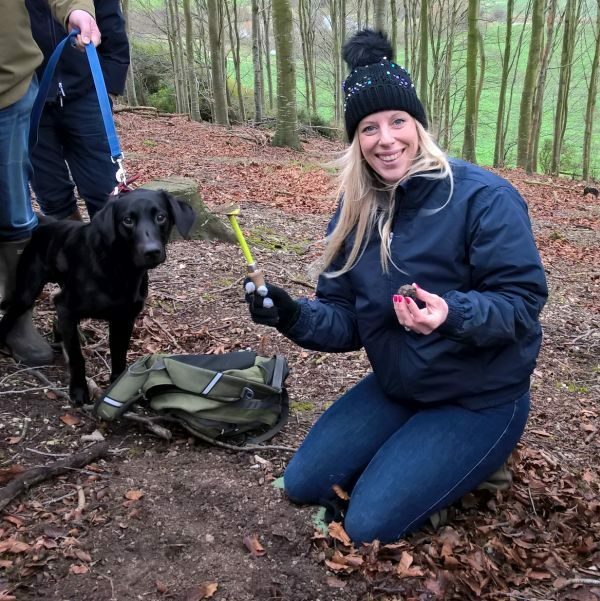 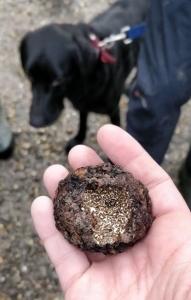 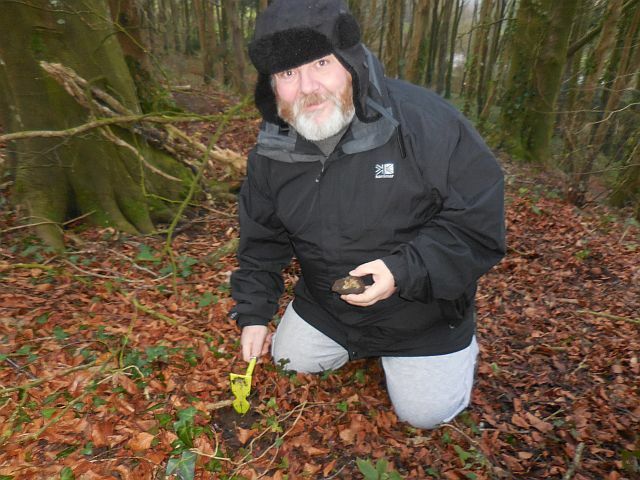 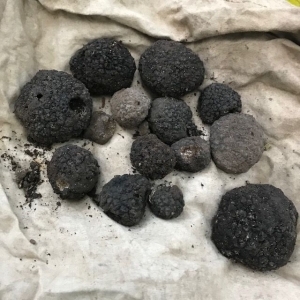 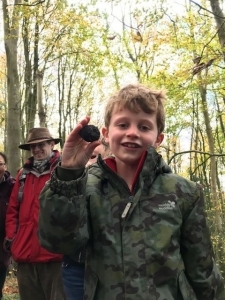 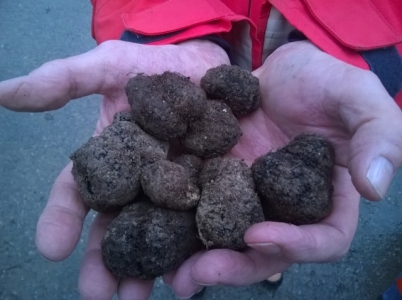 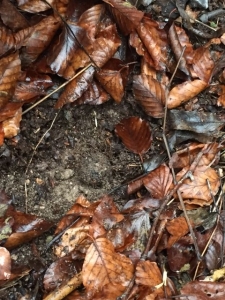 Although we will hunt on sites where we have previously found truffles, finding them cannot be guaranteed. 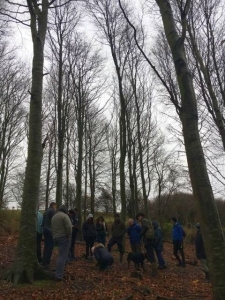 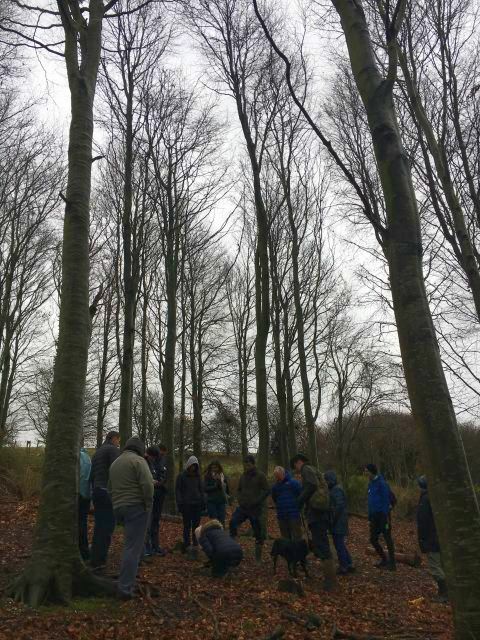 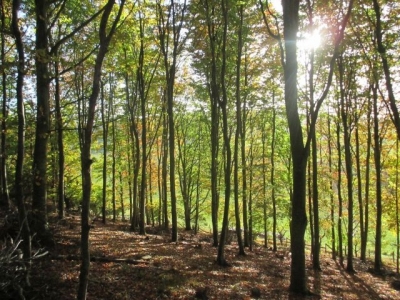 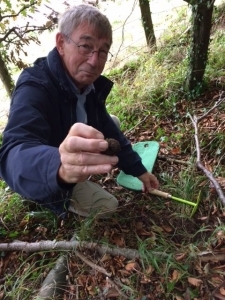 Truffle hunting at the Wiltshire site will require walking on some steep slopes. 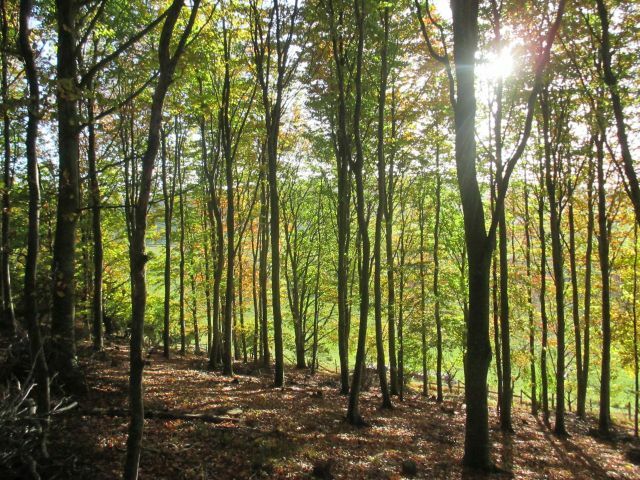 The Hampshire and Dorset sites are flat / gently sloping respectively. 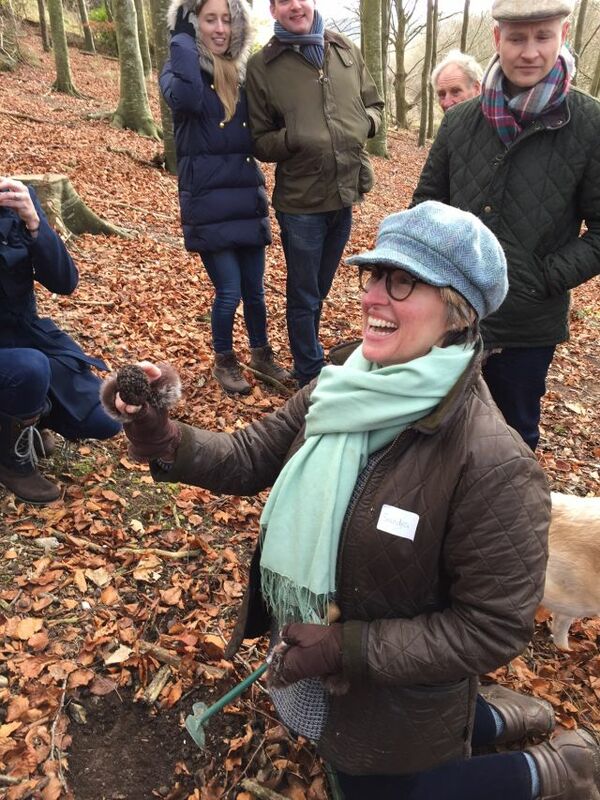 We regret that you are not able to bring your own dog on these days as they will distract our truffle hound. 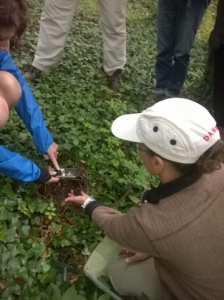 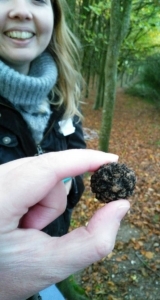 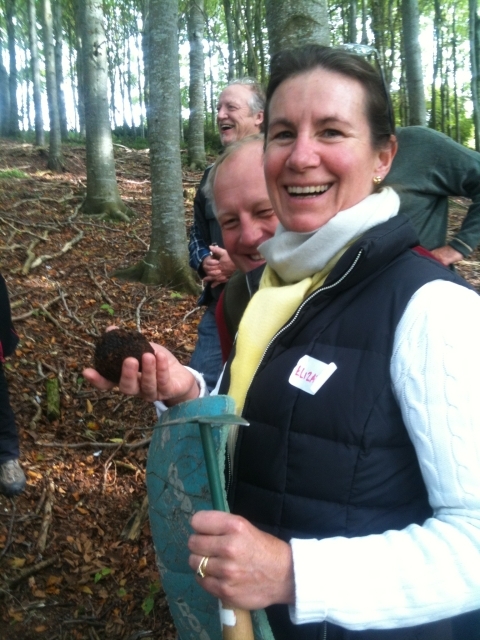 We run truffle hunting experience days from October to January with approximately one per month at each location. 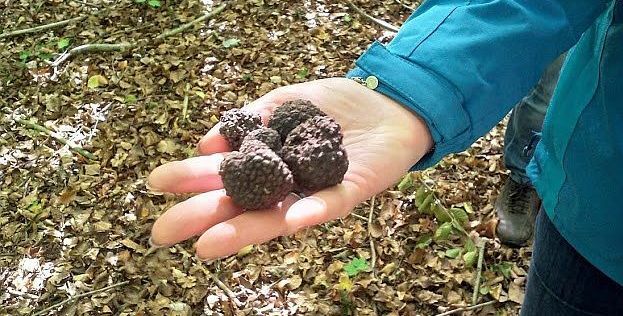 These truffle hunting experience day gift vouchers are valid for two years from the date of ordering and cannot be exchanged for cash. 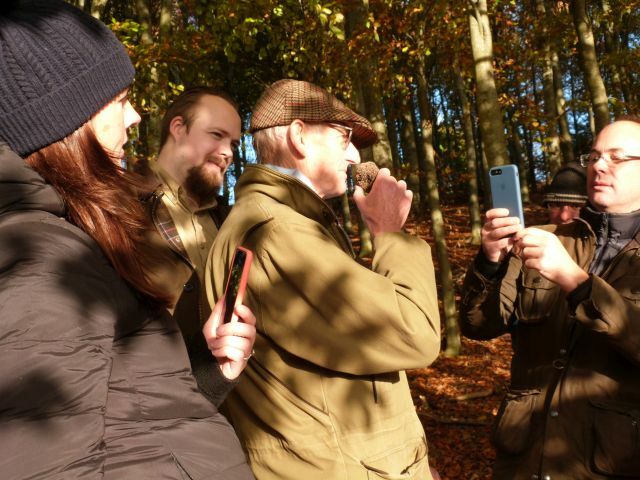 Just wanted to say thank you to James and Jack for a really enjoyable day. 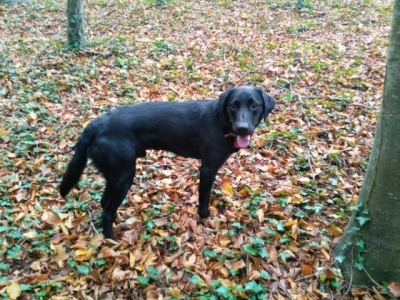 Sue, Devon. 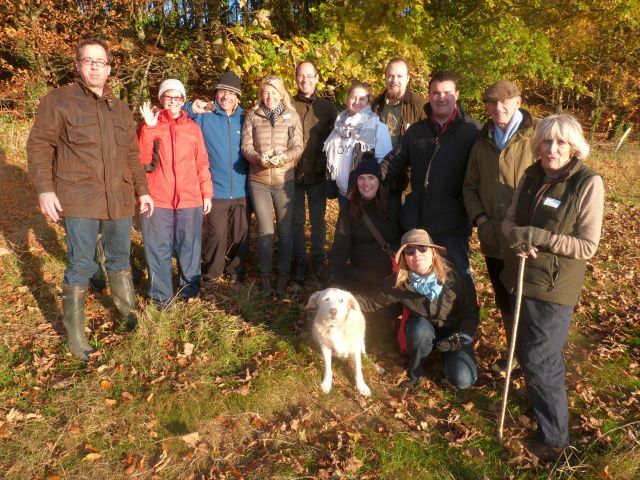 Thank you for arranging a lovely day for us yesterday. 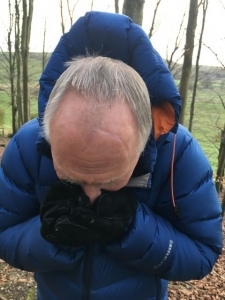 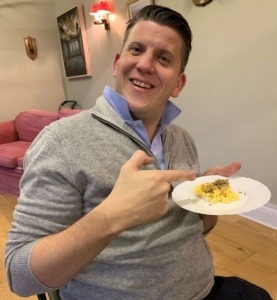 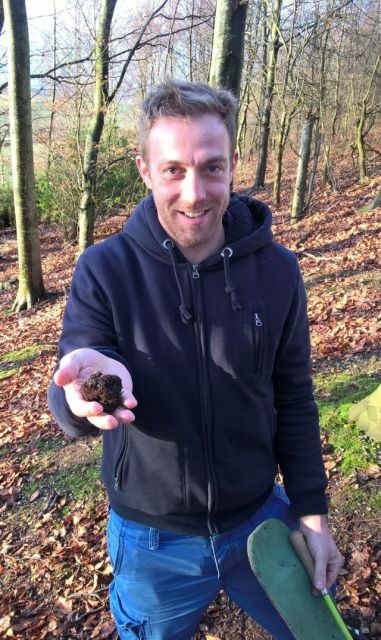 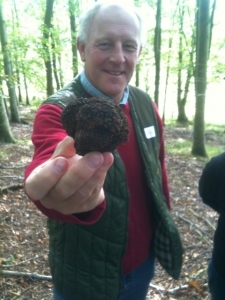 I was delighted that Max was in such good form and located rather more truffles than I expected. 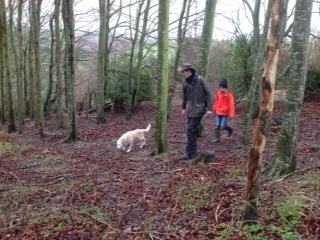 We had lovely weather and I very much enjoyed the glorious views. 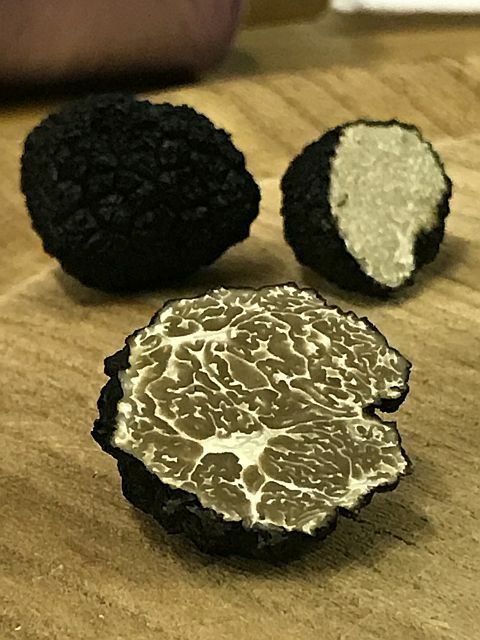 Lunch and truffle tasting was much enjoyed. 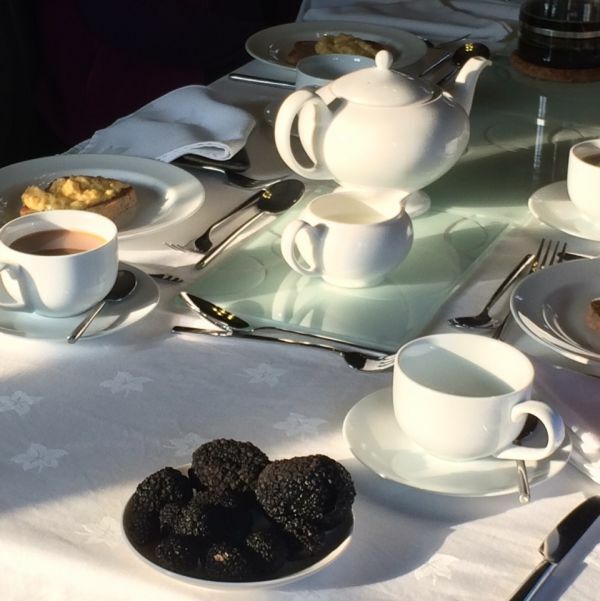 MS – London. 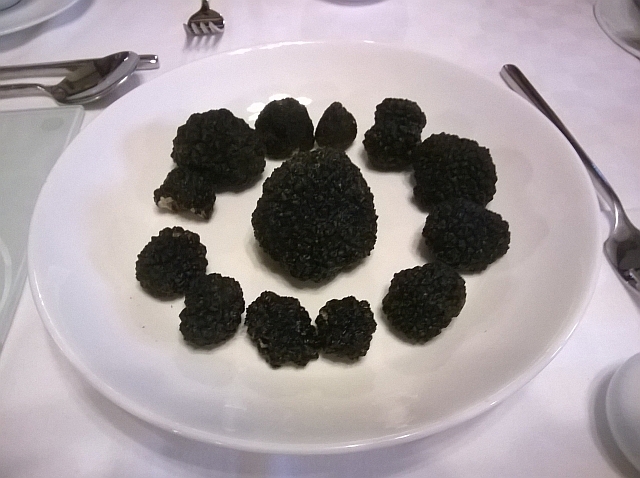 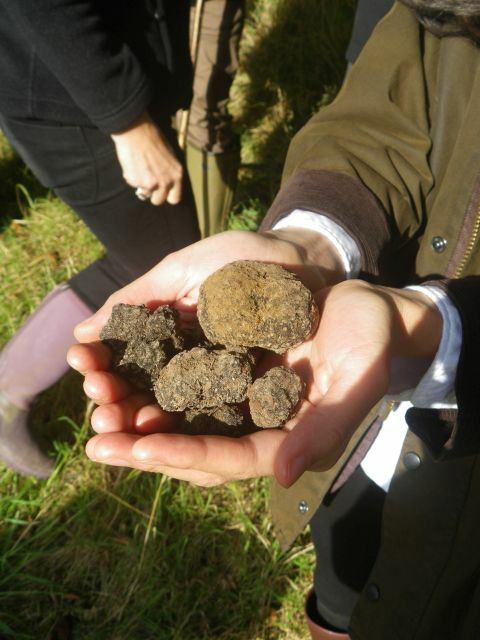 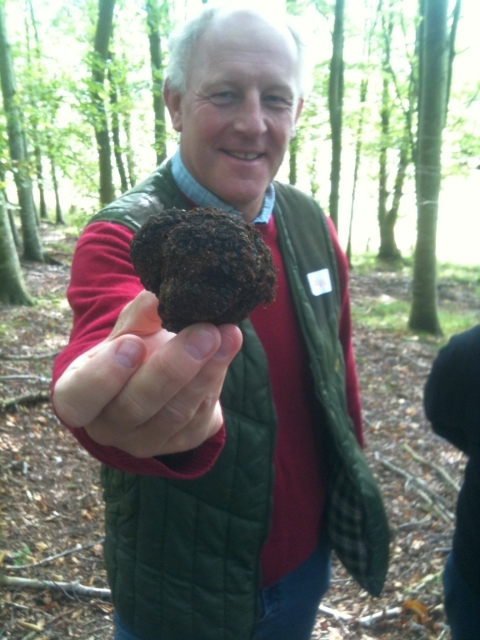 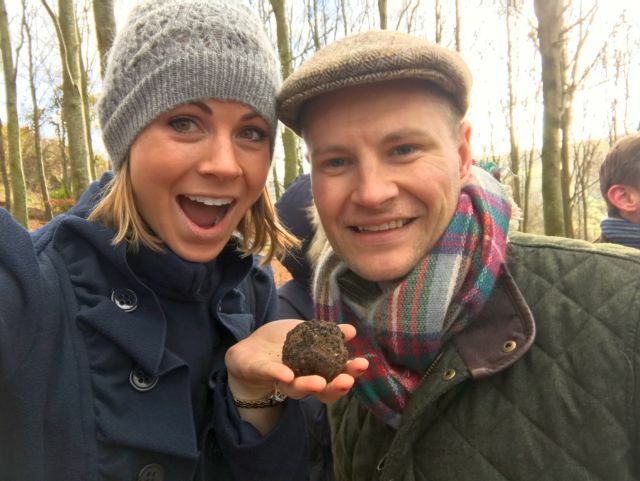 Thank you so much for arranging a great day on Saturday, we really enjoyed it and were amazed by the truffle haul. LE & CE London. 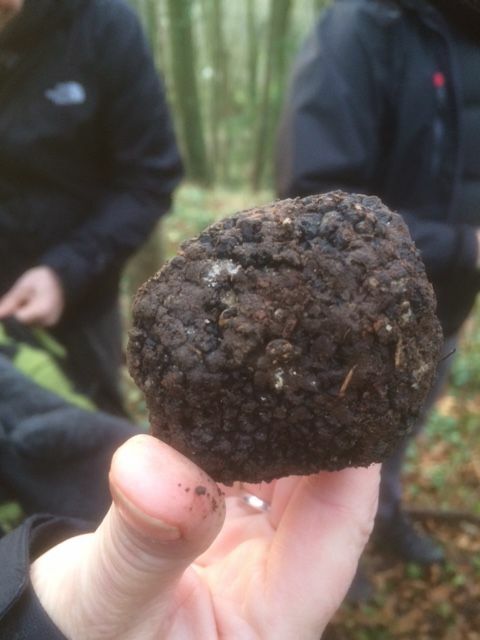 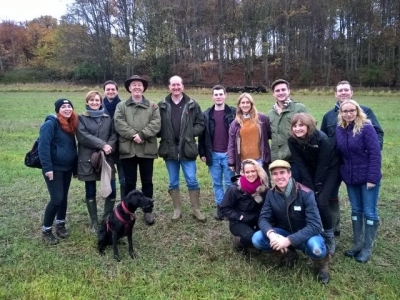 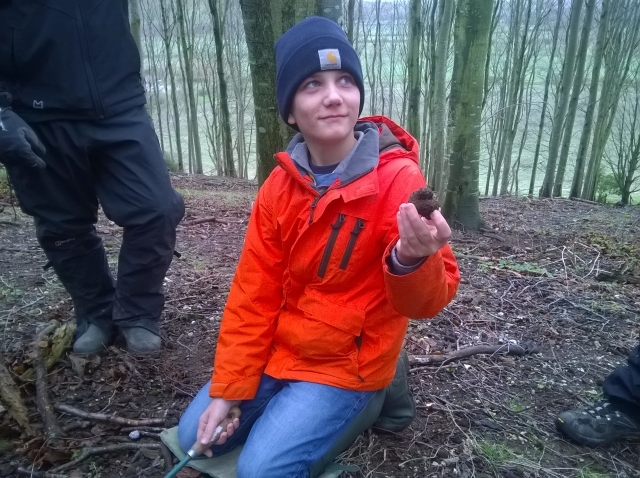 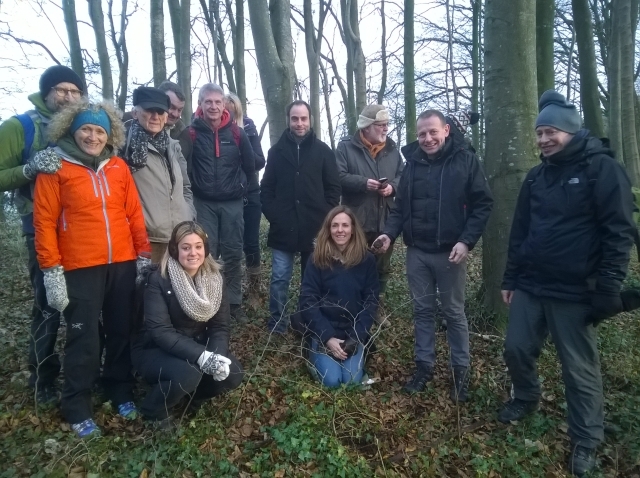 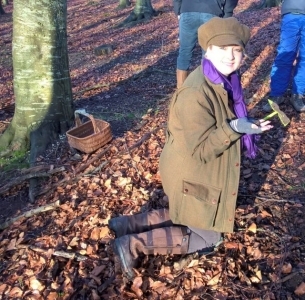 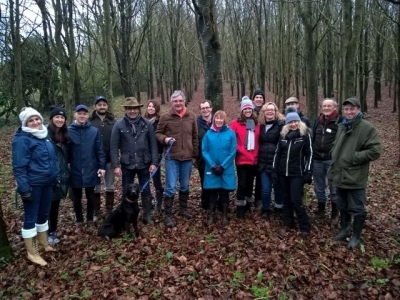 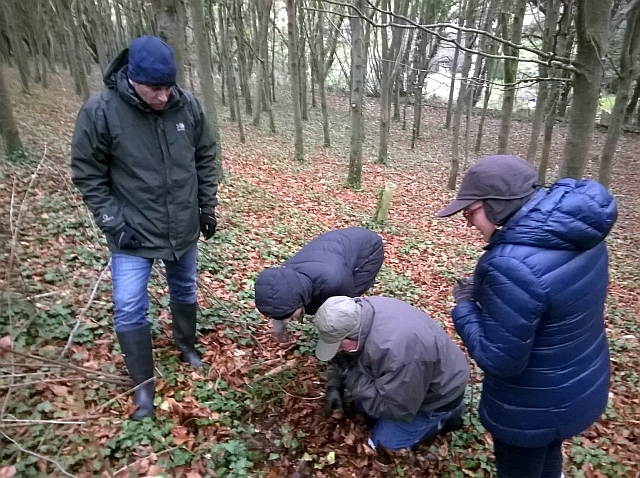 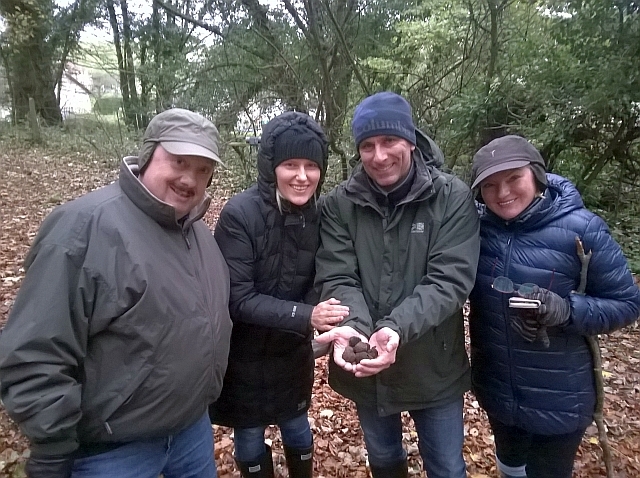 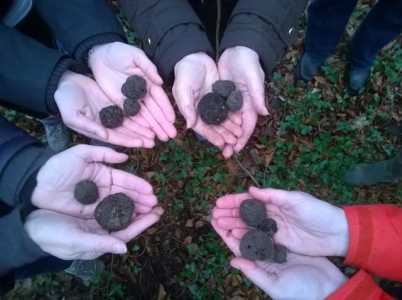 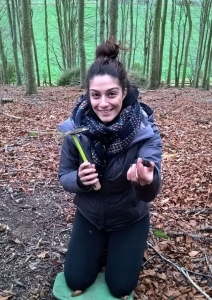 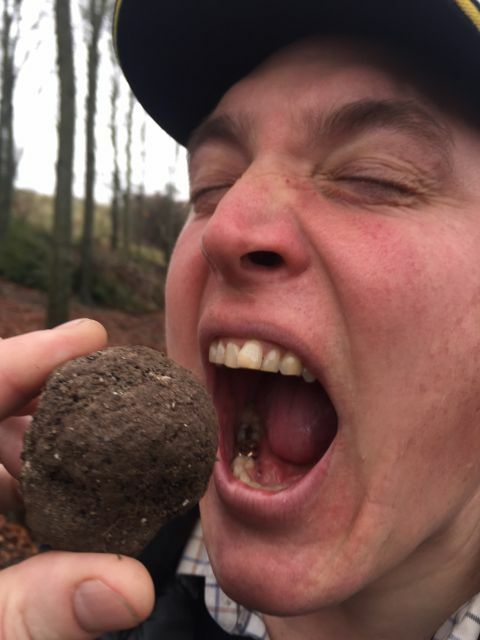 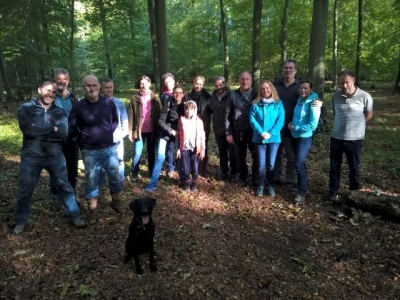 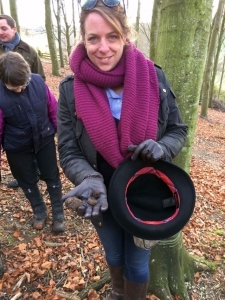 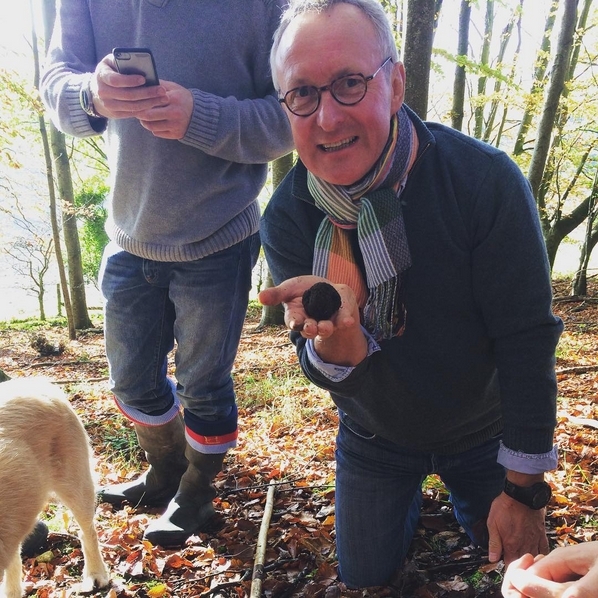 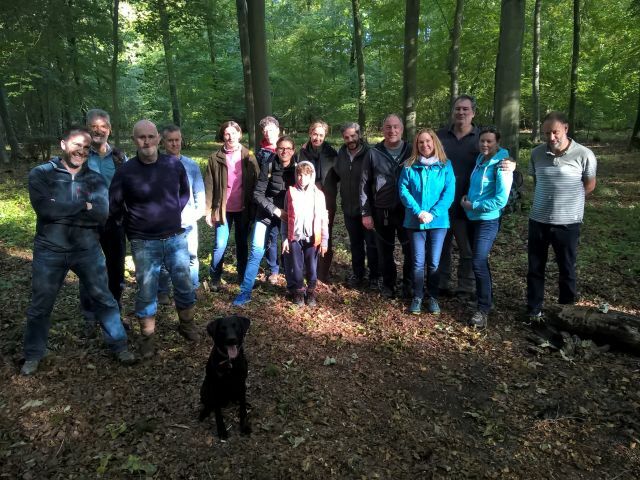 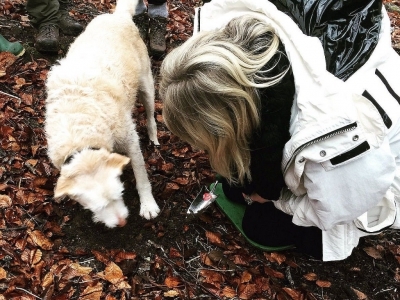 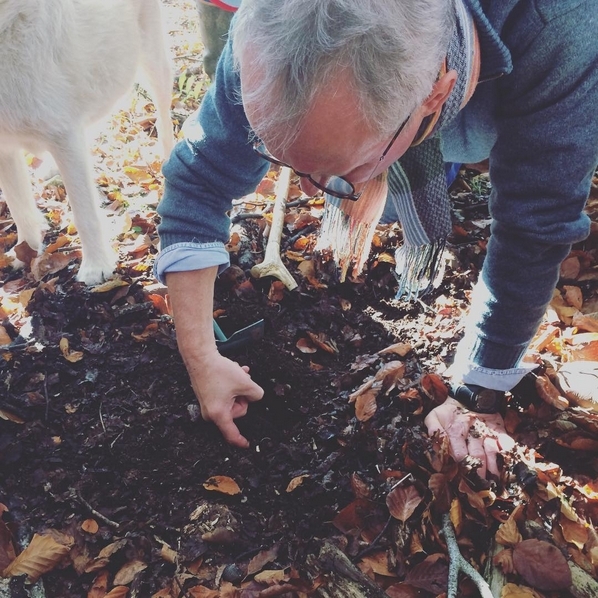 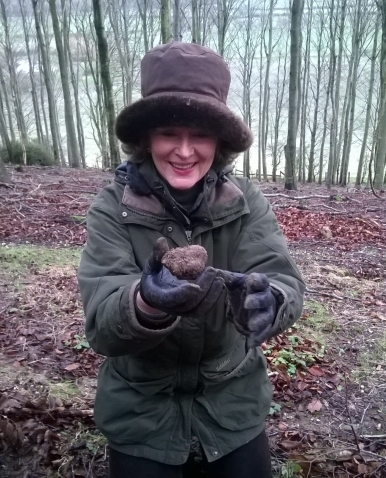 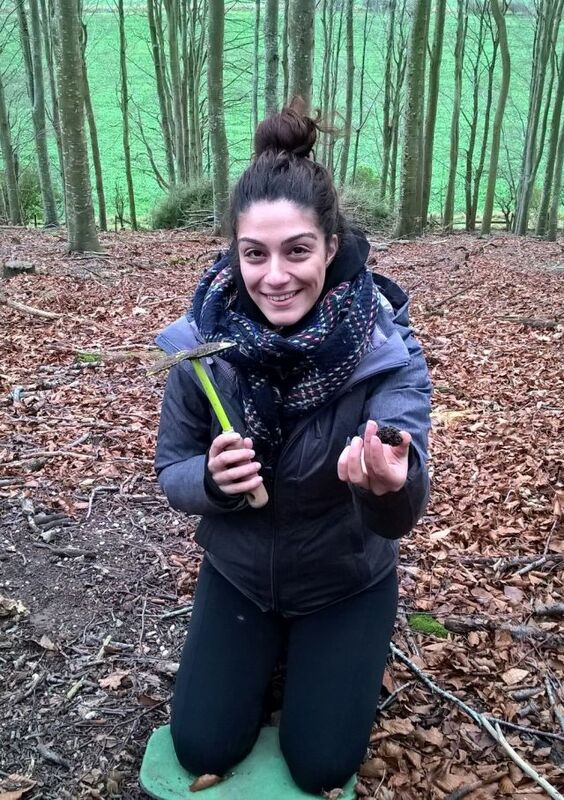 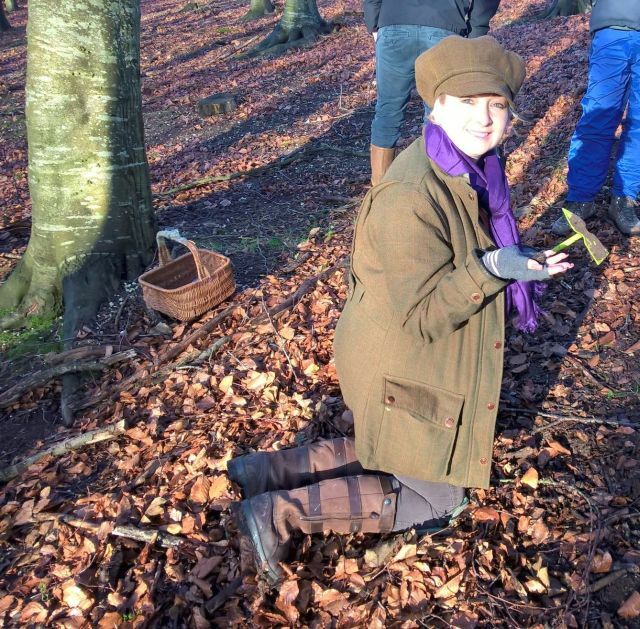 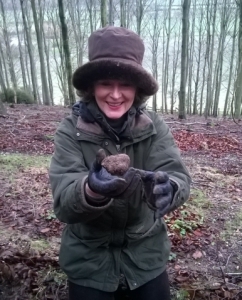 A selection of photos from some of our truffle hunting experience days. 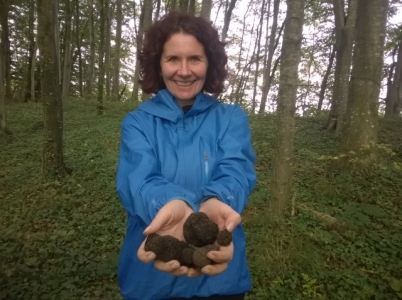 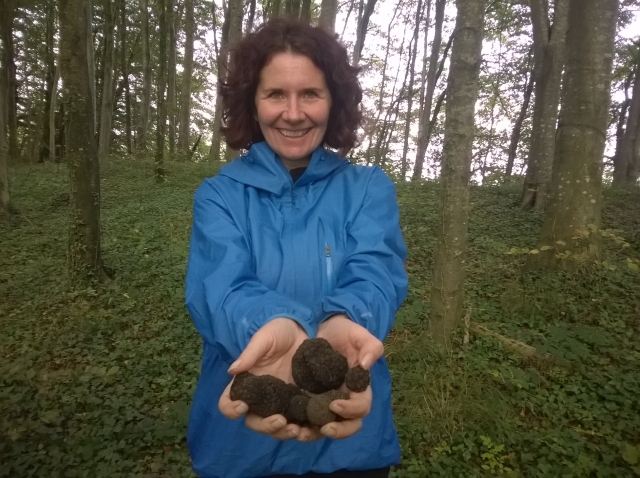 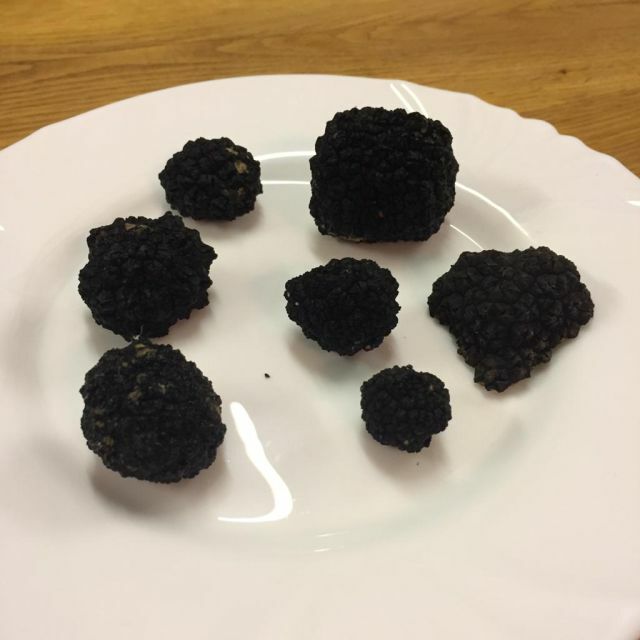 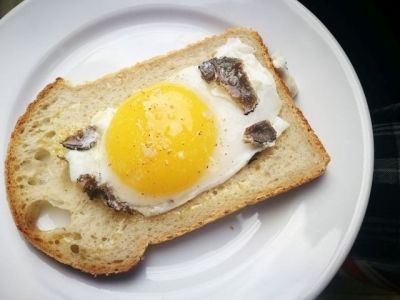 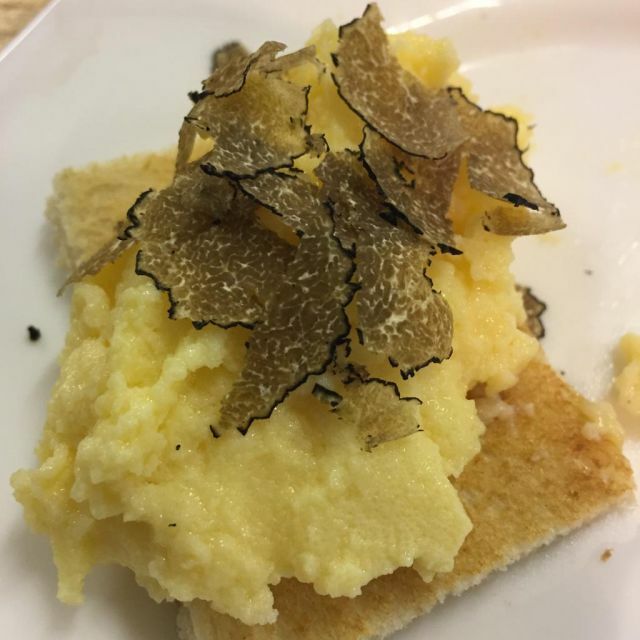 When do you run the truffle hunting experience days? 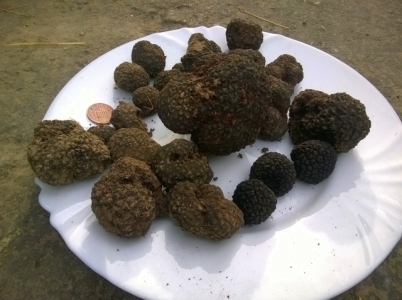 We run two to three per month in the season (c. October to January) on Saturdays. 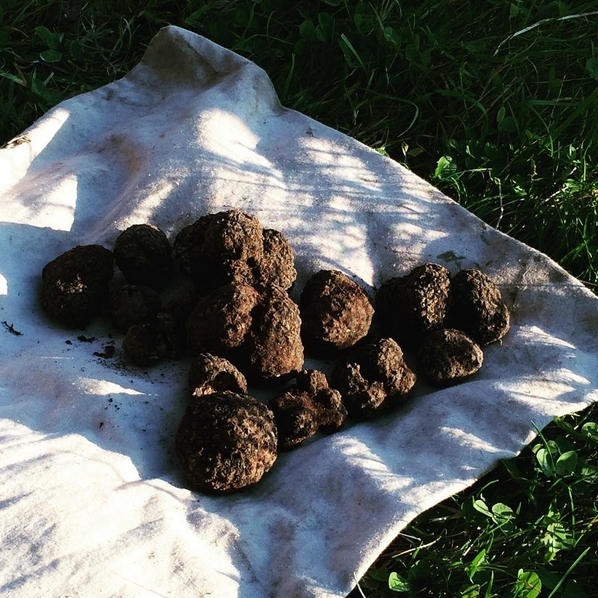 Do you run truffle hunts on days other than Saturday? 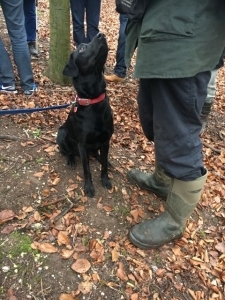 Sorry, Saturday is when most guests are available. 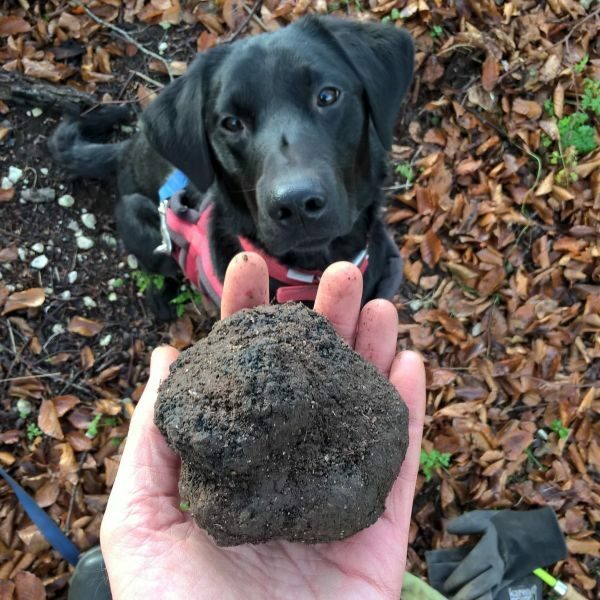 Will we definitely find truffles? 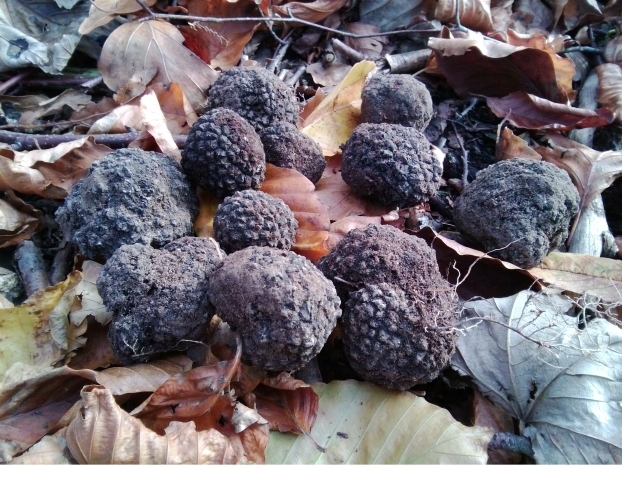 The truffles we are hunting are wild growing and subject to weather trends, the impact of animals, the dog’s mood etc. 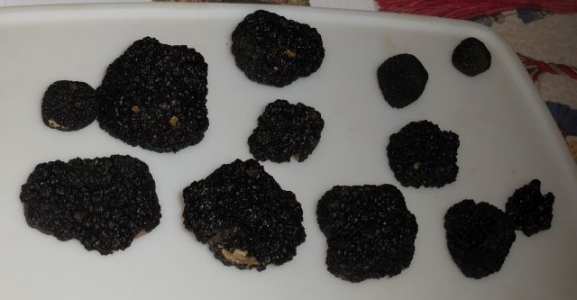 so we cannot guarantee finding them. We only take you to sites where we have found them on many occasions before and have only had one complete failure since 2011.
Who keeps the truffles found on one of these days? 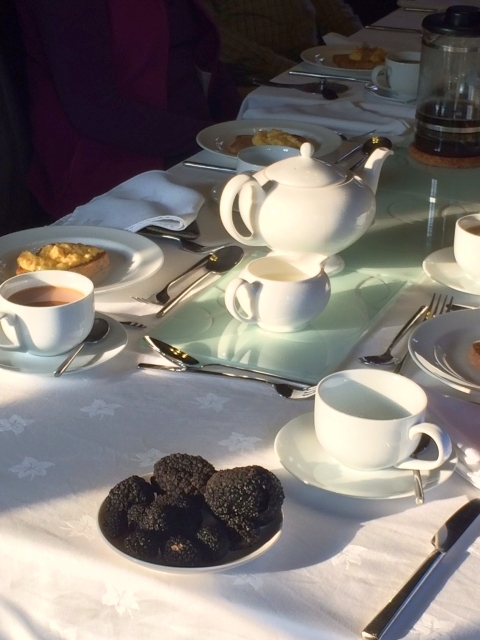 Our first priority is having enough to be part of our afternoon tea. 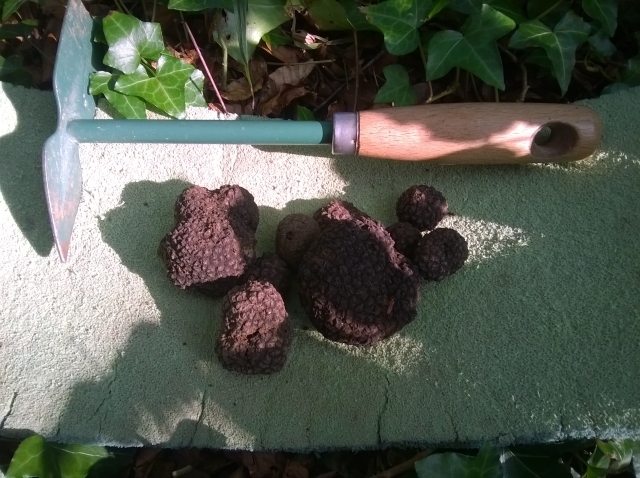 After that, if we have found sufficient numbers, everyone gets a truffle piece or truffle to take home. 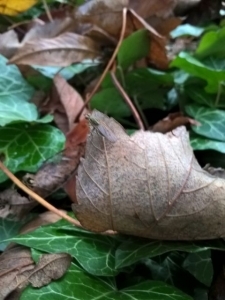 Beyond that we may retain any surplus. 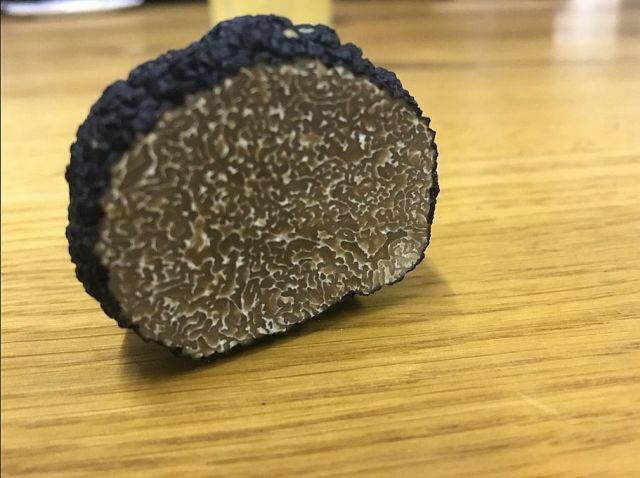 We regret that your dog may not join you on these days as they will distract our truffle hound. 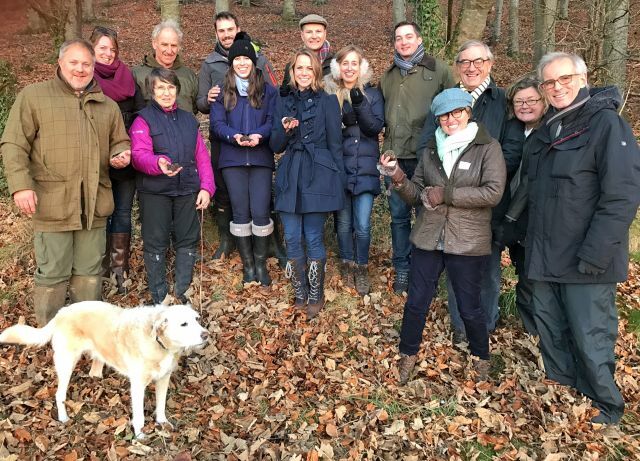 If you need to bring your dog as it would be too long to leave them at home, we would recommend the Wiltshire truffle days as your car is parked in a private location all day. 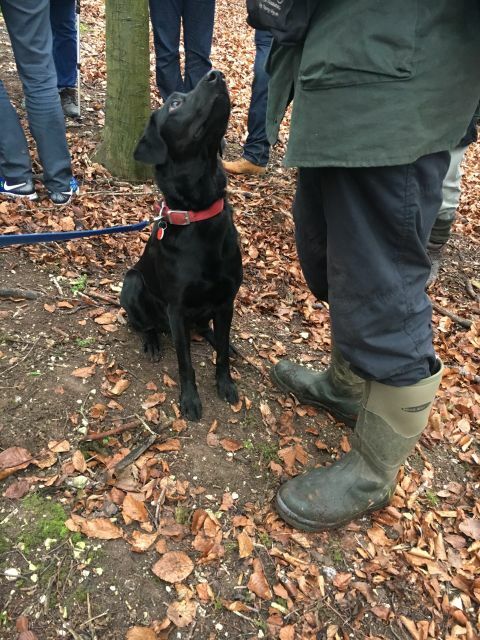 Your dog will need to stay in your car for most of the day, though you will be able to let them out during tea/coffee and lunch breaks. 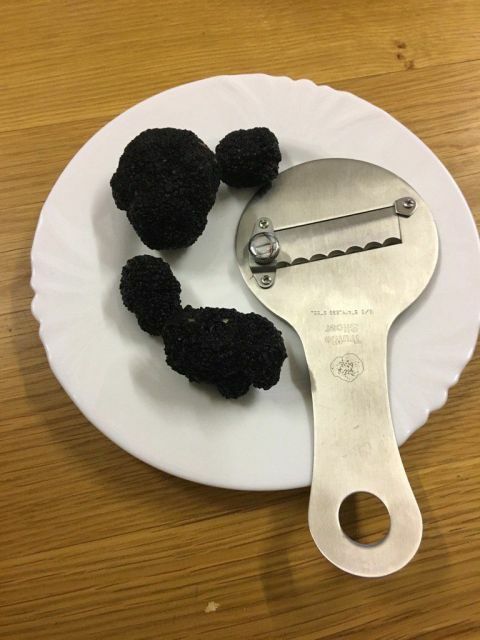 For the Hampshire and Dorset truffle days, your car will be left in public locations such as pub car parks for parts of the day. 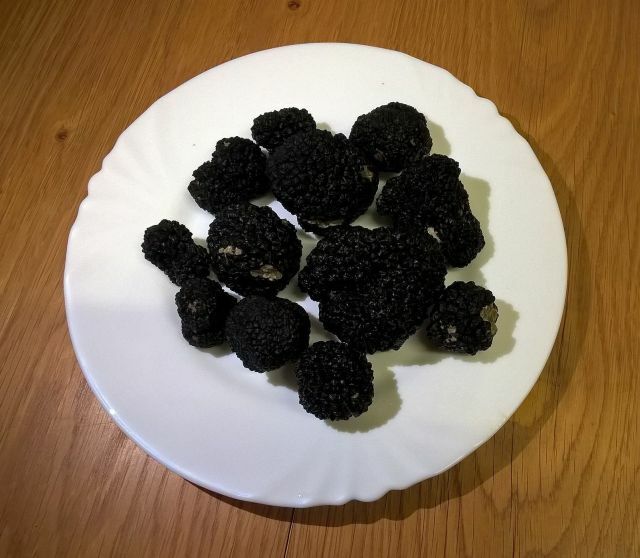 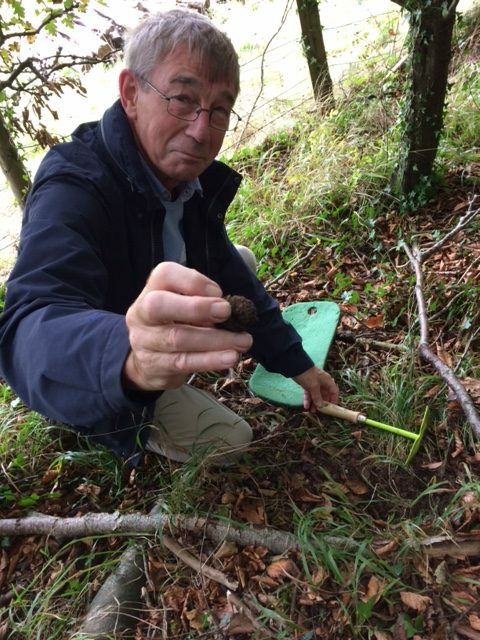 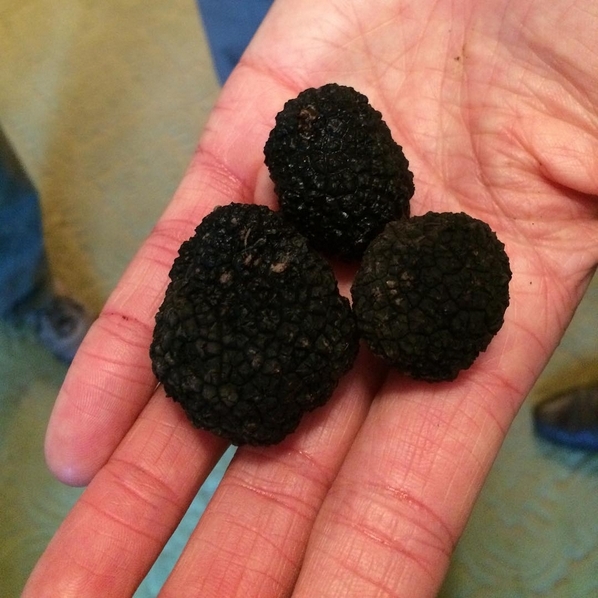 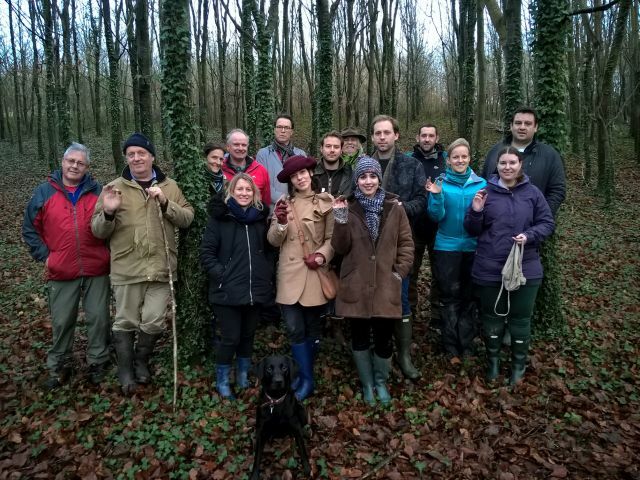 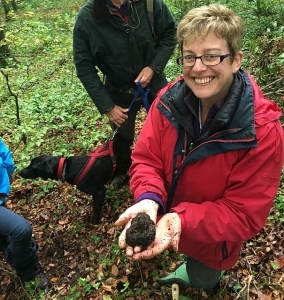 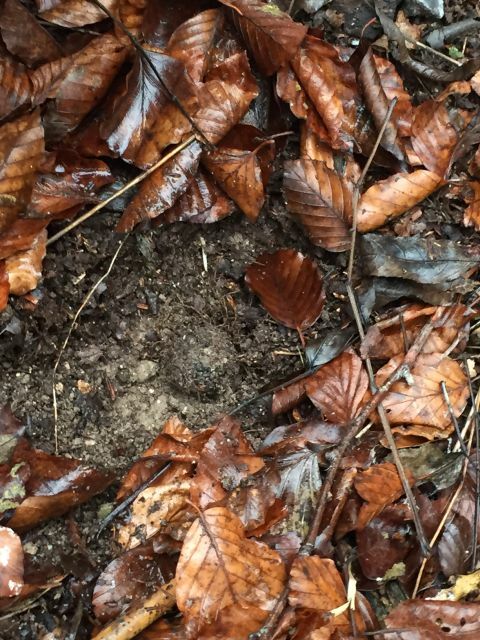 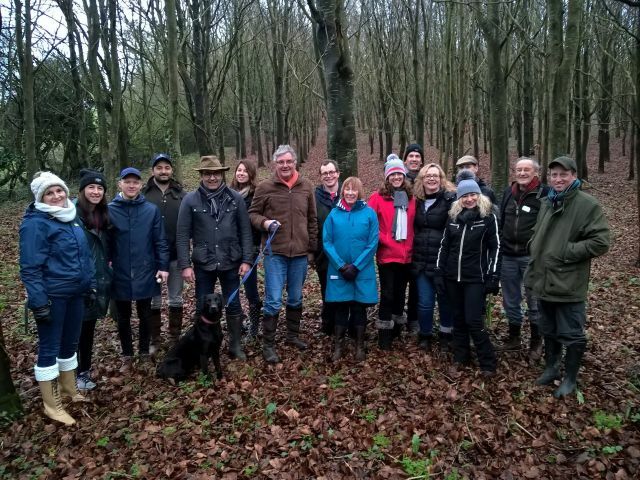 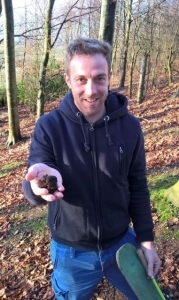 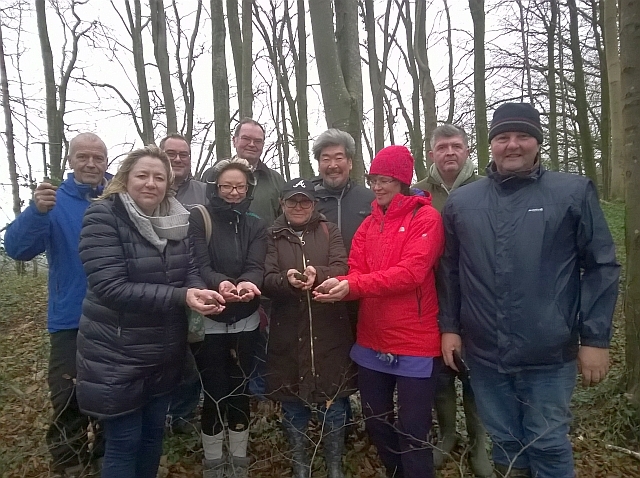 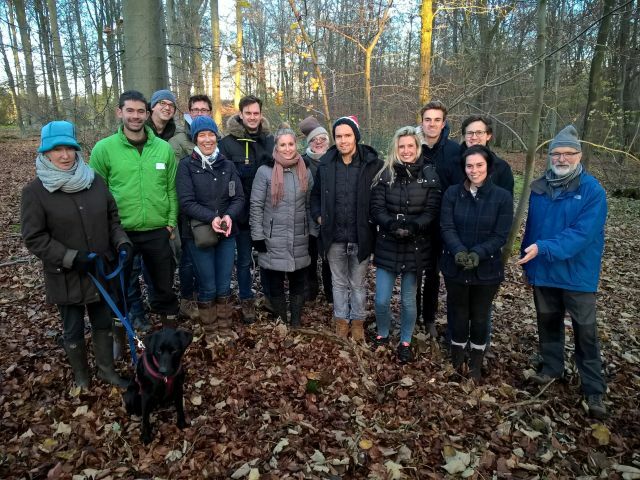 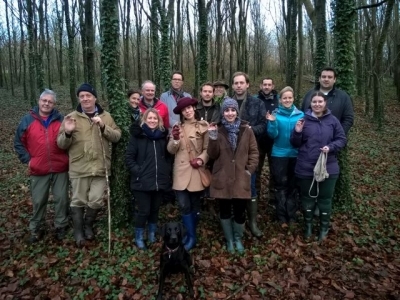 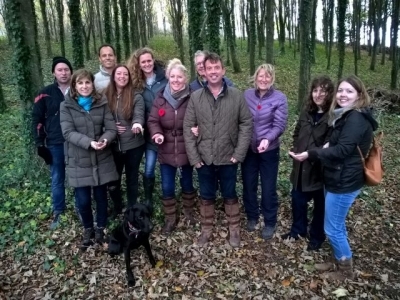 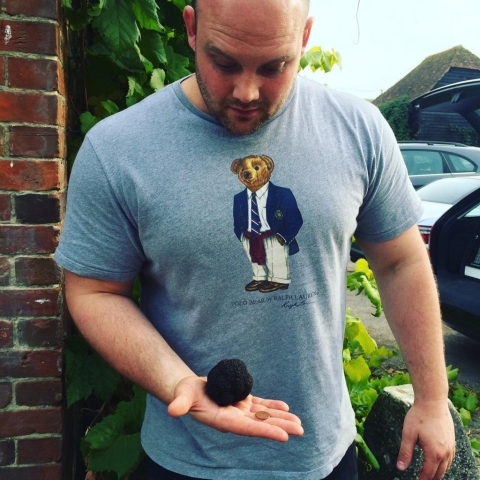 A fully booked truffle hunt will have 15 guests attending. A gift voucher enables the recipient to join us in the next two years (from date of purchase, subject to availability of places).